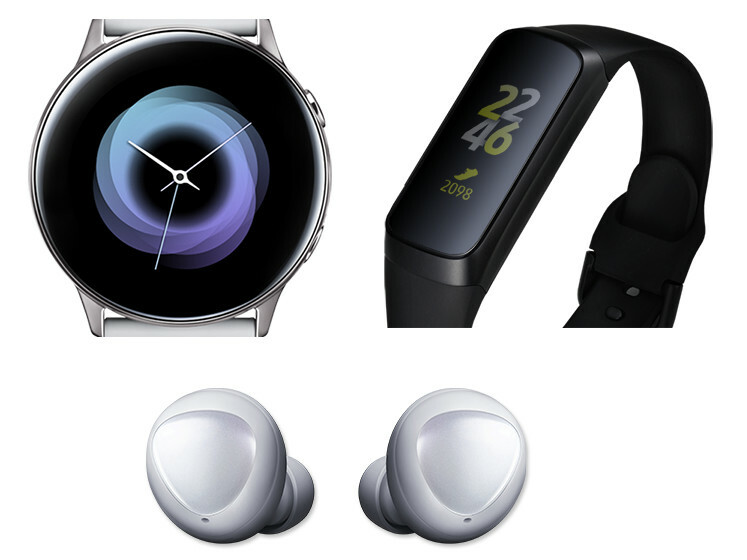 We already know that Samsung will introduce Galaxy Watch Active, new Galaxy Fit and Galaxy Buds along with the Galaxy S10 series at its Unpacked event on February 20th. Now the devices have surfaced on official Wearable app for Android. Extracting the apk also shows use the images of the devices. The Samsung Galaxy Watch Active smartwatch is said to skip the company’s signature bezel ring, pack a 1.1-inch (360×360 pixels) AMOLED display, regesigned charger, water-resistant up to 50 meters, dual-core Exynos 9110 chipset, 4GB of storage, Bluetooth 4.2, NFC, and Wi-Fi connectivity, Tizen (version 4.0.0.3), 236mAh battery and Bixby Reminders. 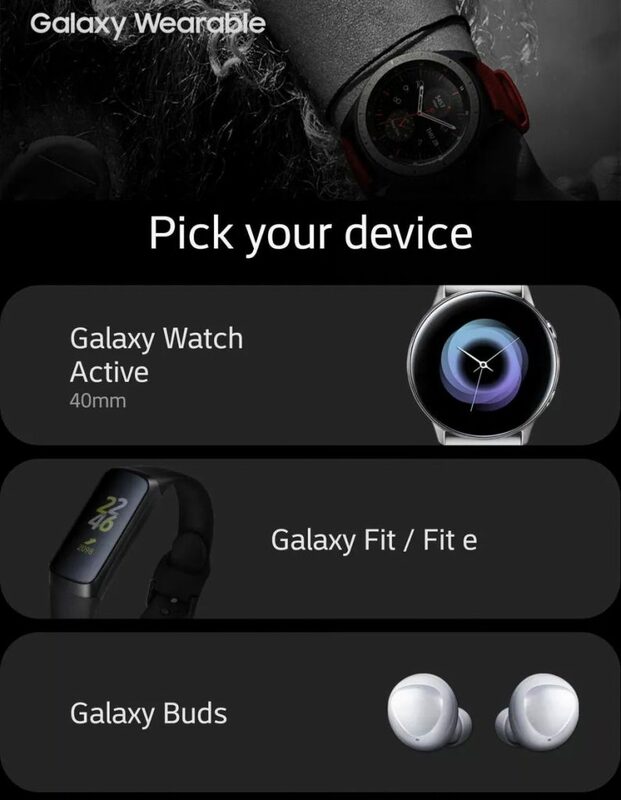 The Galaxy Fit will be available in two variants, and one of them is called Galaxy Fit e, as revealed by the app. The Galaxy Buds wireless earbuds will have the ability to charge wirelessly from the Galaxy S10+. You can check out the latest Galaxy Wearable app v2.2.23.19021251 on Google Play or the APK to check these images. We should know the price and availability when these go official next Wednesday.